The perfect book ends to high school. Going into high school, almost every freshman has some anxiety. For many this means the fear of making friends, or even fear of the upperclassmen. It’s common in movies to see the bigger seniors bullying the freshmen. I was lucky enough to go to a high school that created a program that made these fears obsolete. A year prior to my entrance into high school, Sandwich High School rolled out a new class that freshmen could take called “Freshmen Seminar." This course runs concurrently with another class entitled “Senior Mentor." The freshmen seminar class is centered around the idea of preparing the freshmen for the next four years in high school. 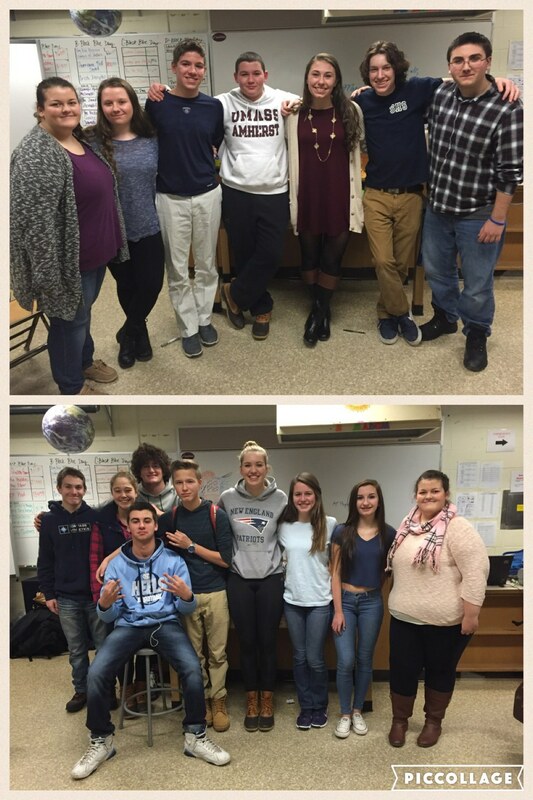 There is a group of seniors placed in this class and they serve the role of senior mentors. The freshmen are divided into a few groups that are referred to as pods and the seniors divide themselves amongst the pods. The seniors work on essential skills that they will need in high school and life. These lessons included public speaking, homework/study skills, tying a tie, and many other useful tips. I was lucky enough to be a part of this program as both a freshman and a senior mentor. Going into my first day of freshmen year, I was incredibly nervous. Many of my closest friends had gone off to private or charter high schools. My first class that day was Freshmen Seminar. I knew the minute I walked into the classroom that it would be one of my favorite classes because of the high energy and the seniors' warm welcomes. My class was small and when we divided into groups it was just two other students and I, along with our three mentors. We began our first class with a public speaking exercise that focused on eye contact. Our teacher, Mr. Dumas, lined us all up in two lines facing each other and made us stare into each other's eyes and then we worked our way down the line. 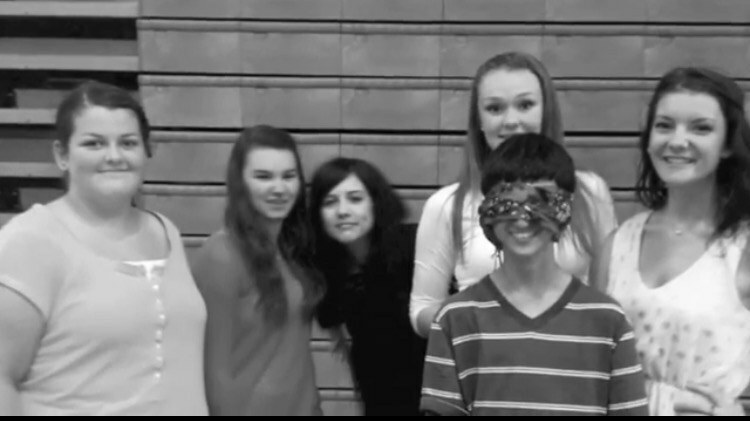 It was beyond awkward; however, it got us all out of our shells and we began to bond as a class. This made a huge difference for me because it gave me a group of people that I was comfortable with and that I could call my friends. We played a ton of games throughout the semester and became overly competitive with one another. I dreaded public speaking days, but I did see myself improving in presentations as the semester progressed.The worst part of the class was that at the time, each student had it for only a month and then they switched to another class. My biggest take away as a freshman was how much the seniors care about us freshmen. They went out of their way to say hello in the hallways and they were always there when we needed them. This made me want to apply to be a mentor. Fast forward three years and I walked into that same classroom on the first day of school, but this time was different because I was a senior mentor. The class itself had also changed. Instead of having it for about a month of the semester, the freshmen had it all semester, every other day. The seniors had it every day with two different groups of freshmen. Instead of entering the room as a timid freshman, I was comfortable and beyond excited to see my fellow mentors. The first day of the class sets the mood for the rest of the semester and it is up to the senior mentors to create a positive environment. As the seniors laughed and talked with Mr. Dumas, the freshmen filed in. The class began with introductions and we then moved into our lines for the eye contact game. Everyone was laughing and it was evident that the freshmen’s discomfort began to fade after a few rounds. We got into our pods and at that time none of us realized how close we would get. The semester moved on and we did similar activities from my freshmen year; however, I got to see the freshmen improve. I loved helping my younger peers with homework and bonding with them. I liked the class as a freshman; however, I loved it as a senior. As a freshman, I understood the impact the class had on the freshmen; however, I did not realize the impact it had on the seniors. At the end of the semester, many of us seniors were beyond sad that the class was over. During our final class we all circled up and reflected on the semester. One of the seniors of course had to toss on some solemn music and then Mr. Dumas asked us to share our favorite moments. My favorite moment during the class was when we were doing a team building project with our pods and all of the seniors were told to step back and we saw all of the freshmen working together and completing the challenge. It was amazing to see our shy freshmen from the first day of the semester to that moment. The freshmen talked about how it impacted them and the seniors sat their proud of the people that they had become. This class teaches the seniors how to be leaders and gives them the opportunity to help the freshmen class. The circle ended with tears and hugs. Many of the mentors explained at our debriefing that they found that this class made them look at how the acted in their lives. They felt as if they had to carry themselves in a way that the freshmen could look up to. I left this class having formed relationships with both the freshmen and the other seniors. Many of the seniors were from different friend groups and had different interests. A few of the seniors had never even been in a class with me. By the end of the class we were all friends and celebrated the end by going to breakfast with each other. As the freshmen filed out on that last day, the seniors circled up around the teacher’s lab bench, like we had done every morning for the past semester, and we ended our first semester of senior year. This is the type of class that should be offered at many high schools because it creates a positive start to high school. You learn essential skills such as public speaking and those that choose to bookend their high school years by becoming a mentor, learn skills that colleges and employers look for. Mentors learn listening skills, as well as leadership. You have to be able to work through conflict and solve problems. You do not just leave the class with those skills, but with long lasting relationships with your pod. I have pictures of my pods hanging in my dorm and I am proud to see my freshmen from last year enjoying their sophomore year. 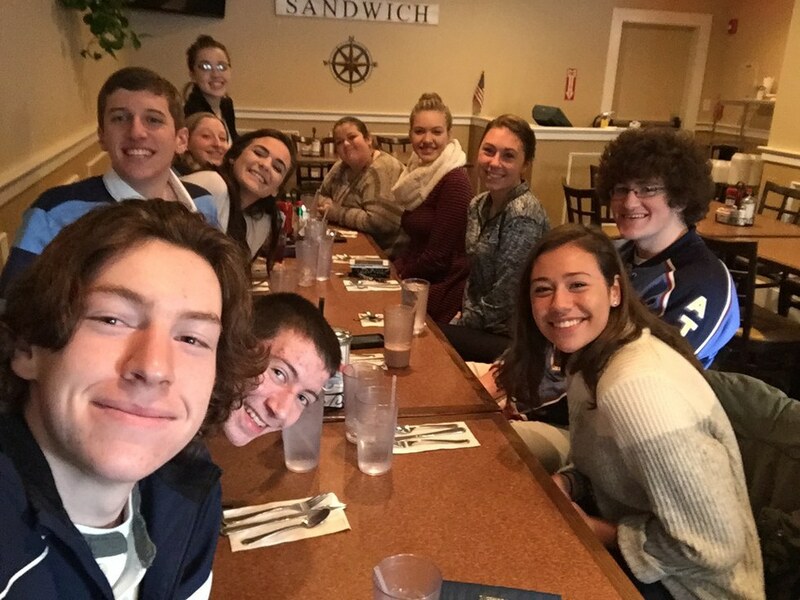 Click here to learn more about the class through the eyes of the freshmen, seniors, and administration of Sandwich High School.